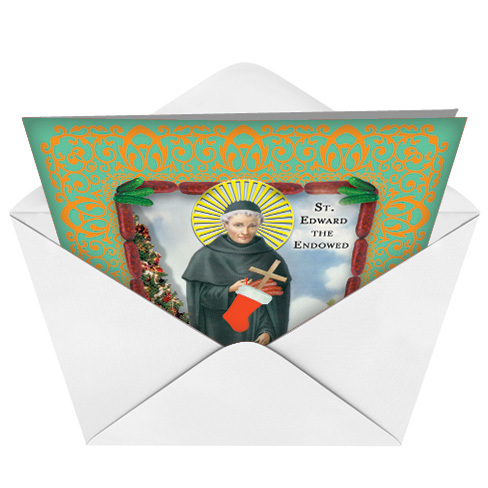 Let your friends know that there is a new saint on the scene this holiday season with a holiday card from NobleWorks Cards. St. Edward has burst onto the scene in a big way and he is sure to be a popular addition to Christmas festivities this year. 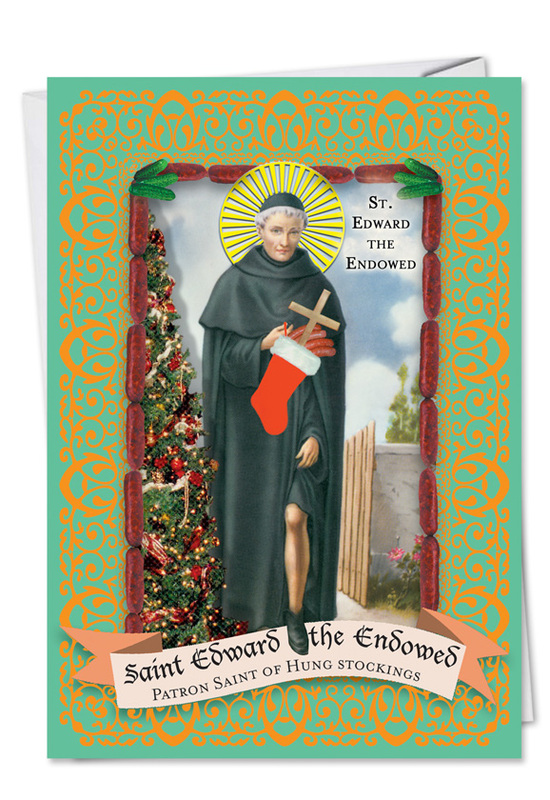 This saint's full name is St. Edward the Endowed and he is represented as the patron saint of hung stockings. 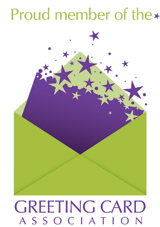 Proof of this title can be seen in the drawing on the greeting card. 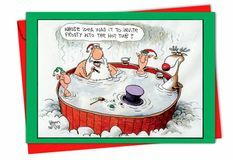 Of course this card is a naughty card and not appropriate for children. 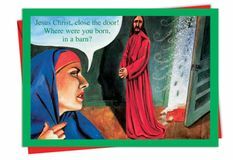 Deeply religious individuals may, may also balk at this card but it is sure to get laughs in all other quarters.